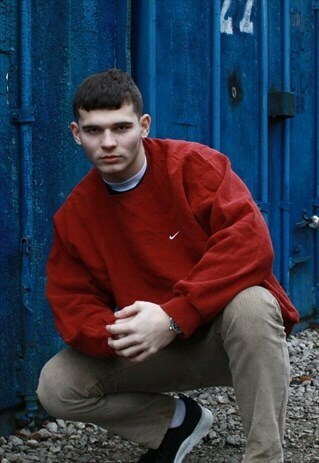 Vintage Red Nike Sweatshirt Mens XXL Model is 6'0 and wears Large Instant buy is on! Item is sent via Royal Mail within a working day of purchase. All items may have light signs of vintage wear and any other faults will be mentioned.